September: Four Reasons Why the Ninth Month is So Special to Emergency Planners – BOLDplanning Inc.
For most, September is just the ninth month on the calendar. It’s a time when the days start to cool down, and college football season begins. But, for emergency planners across the country, September is a special month— one of remembrance, preparedness, observation and concern. And, for good reason(s). 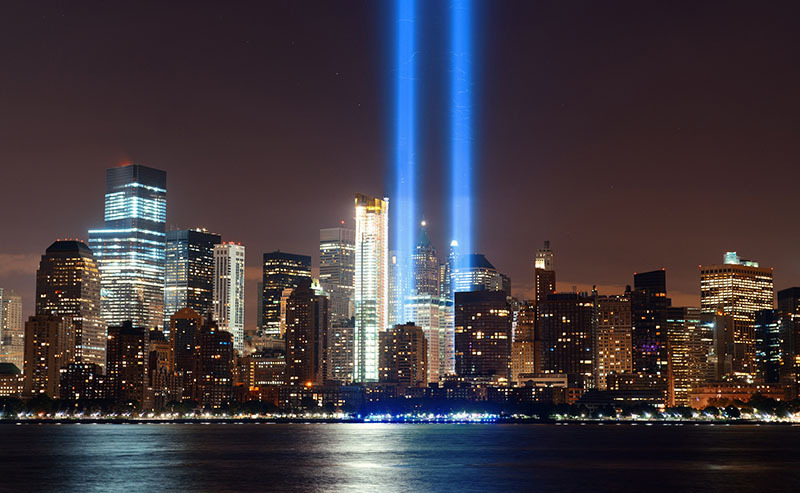 Remembrance: The Anniversary of 9/11 – September 11, 2001 was a day of infamy—one that Americans (and the world) will never forget. For 17 years now, we pause on this day to reflect on the thousands of lives lost, as well as those forever changed by this heinous act of terrorism. Vowing “Never Again,” the U.S. government continues to do everything it can to prevent another attack, including monitoring potential terrorists, quickly identifying individuals who may be becoming radicalised, and providing people-at-risk and buildings with additional security. We, as Americans, and as suggested by the Department of Homeland Security, can do our part too by remaining vigilant, reporting concerns or suspicious activity, and of course being prepared. Preparedness: National Preparedness Month – Sponsored by the Federal Emergency Management Agency (FEMA) within the Department of Homeland Security, September is recognized as National Preparedness Month (NPM). It’s a time when FEMA’s Ready Campaign—Ready.gov—leads the effort to help the general public prepare for and better respond to emergencies, including natural and man-made disasters. This year’s NPM will focus on planning, with an overarching theme: Disasters Happen. Prepare Now. Learn How. To help folks along, many pre-recorded webinars featuring new community preparedness topics are completely free and ready for quick download. Plus, there is numerous content (publications, videos, social media, links, etc.) available. Also, September 15th is a National Day of Action, during which many “Prepareathons” will take place across the nation. Observation: Peak of Atlantic Hurricane Season – While the Atlantic Hurricane Season officially starts on June 1st, the season runs all the way through November 30th. The peak of activity usually occurs around September 10th. In fact, the tropics are really heating up at this very moment, with back to back storms quickly developing and intensifying. As of this posting, The Weather Channel is reporting that Tropical Storm Florence may strike the U.S. East Coast as a major hurricane in the coming days. The National Oceanic and Atmospheric Administration (NOAA) and its National Hurricane Center, are also keeping a close eye on tropical storms, Isaac and Helene, both of which are following right behind. Again, preparation is key to surviving such potentially dangerous storms, so don’t wait. Take every measure possible to secure your property, and more importantly, your safety now. Concern: The Start of School, Campus Safety – Labor Day, though not the official end of summer, usually signals it’s over, and the start of school across the country. It’s a time when students, parents, teachers, administrators, law enforcement and others again turn their attention to campus safety. Recent school shootings like the one in Parkland, Florida fuels these concerns. No wonder. An article recently published in Education Week says that the death toll by gunfire at U.S. in the 2017-2018 academic year reached 35. That’s the highest death toll in a single academic year from school shootings in recent decades—outnumbering the years of the Sandy Hook Elementary shootings and the Columbine High School shootings—according to a Washington Post database. If you have not done so already, now is the time to discuss active shooter preparedness with your student(s). At BOLDplanning, we recognize the month of September as a special one for all emergency planners across the country. As such, we want to take this time to thank you for all the time and effort you put into making your workplace, your community, your state, and your country even more resilient. We are honored to help each and every one of our clients prepare for, respond to, recover from, and mitigate against the many hazards that can, and sadly, do occur. We also welcome the opportunity to help others do the same.